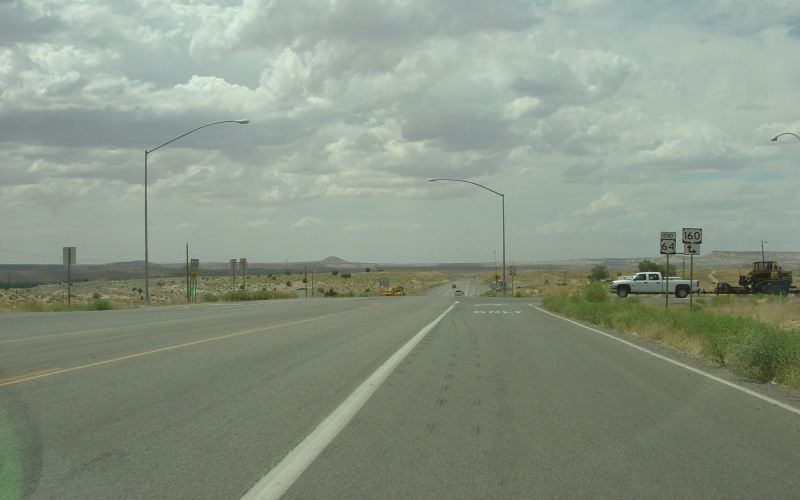 End signage at US 64's western end at US 160, about 6 miles from the Four Corners. Photo by Adam Froehlig, taken August 1, 2005. 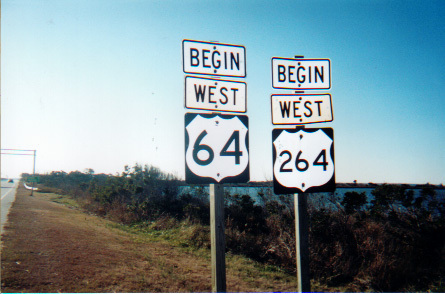 Begin signage for westbound US 64 and now-truncated US 264. After the Manteo bridge was built for US 64, US 264 was truncated west to where it first departs US 64. Photo by Adam Prince. Looking east at where US 64 ends and splits into US 158 and NC 12. As mentioned above, US 264 no longer ends here. Photo by Adam Prince. 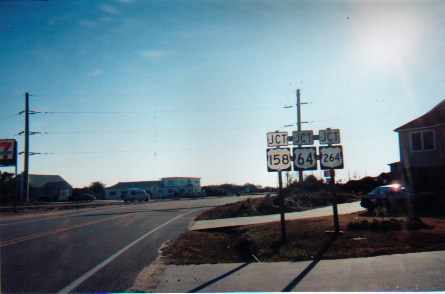 Junction signage along NC 12 for the three routes, approaching the intersection above. 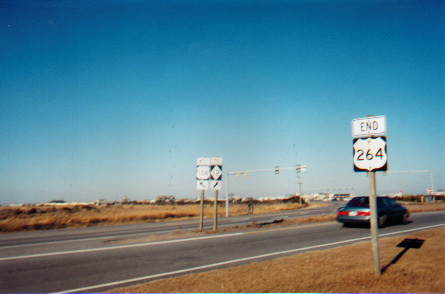 The US 264 signage is no longer valid. Photo by Adam Prince.